Advanced Testing Laboratory had grown by referral for 30 years, and were in the midst of greatly expanding their service model into full outsourcing. 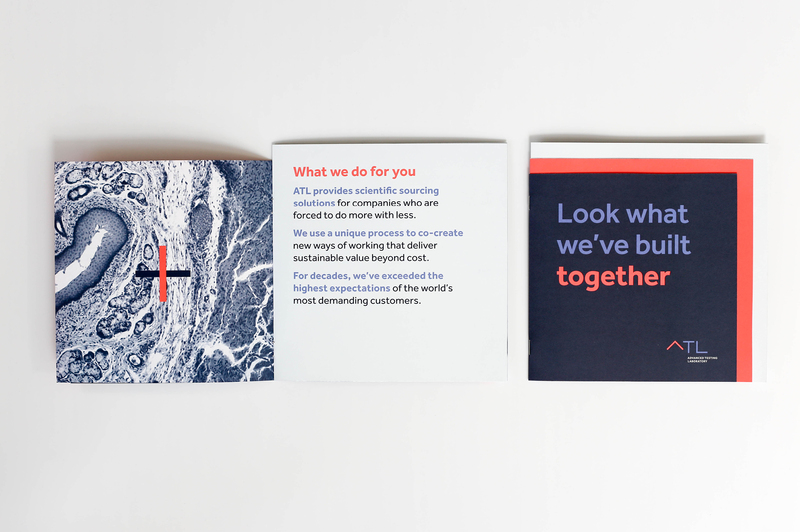 They needed a clear position and a new identity that would resonate with both scientists and business leaders. After developing a distinct position statement and key messaging, we explored several directions for the visual expression. Words, phrases and ideas pulled directly from extensive work sessions with the client were represented in the design theme, typography choice, color expression and photography content. Many clients had already shortened the company’s name to ATL. 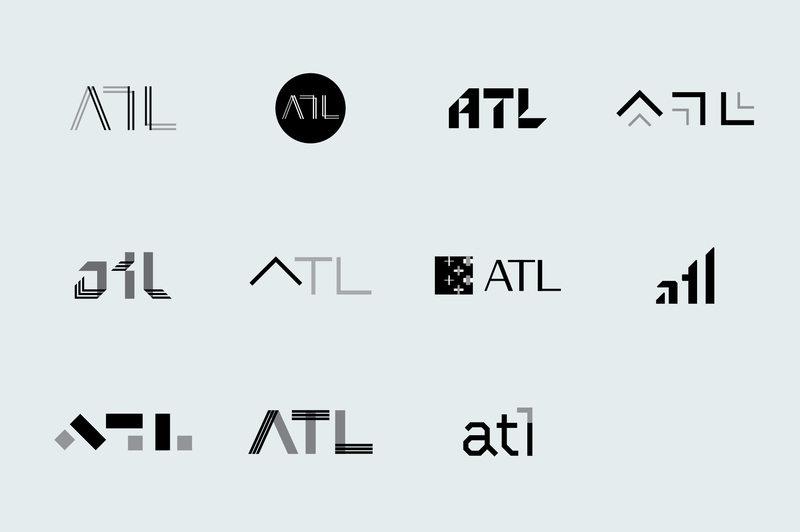 So, we took advantage of the existing equity in re-introducing ATL as the official brand name. 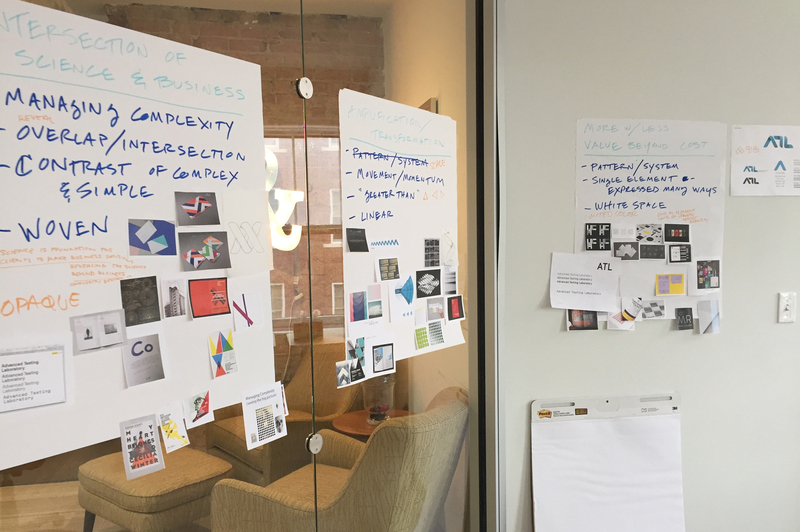 We experimented with several concepts to communicate technical accuracy, co-creation and measured growth. Our target audience—scientists—are linear and logical thinkers, whose ideas progress over time. 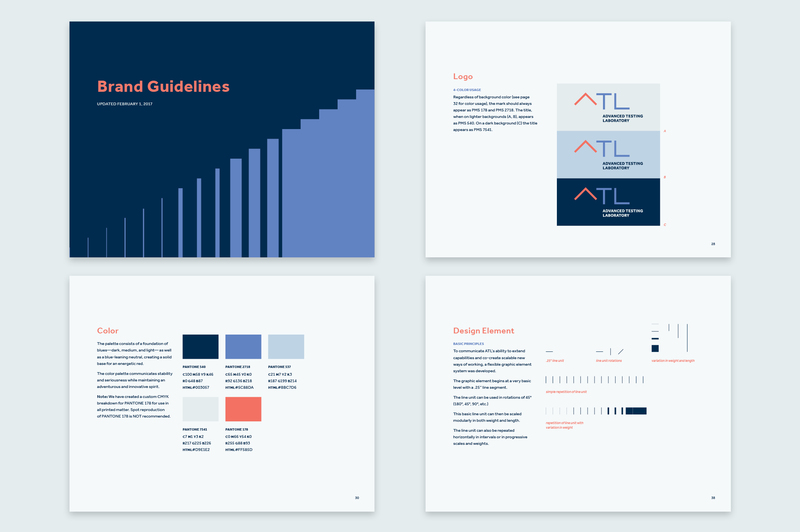 These insights led our design to feature right angles, patterns and reliance on basic “elements.” We created comprehensive brand guidelines to make sure these elements are used in logical, consistent ways. The color palette, photography style, and typography all reflect the focus and passion ATL brings to their work. To align and celebrate the new brand, we created launch announcements and presentations for the company’s internal and external audiences. ATL’s CEO and leadership team met directly with clients and employees to promote the company’s new growth vision and purpose. The new leader in scientific sourcing needed a more forward-thinking website, so we delivered one. 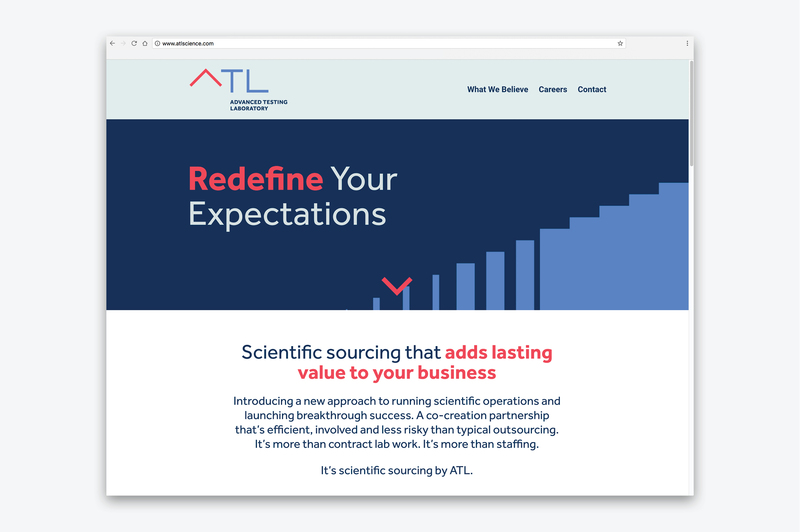 The website needed to clearly explain ATL’s new position, highlight differentiators and capabilities, and engage prospective clients. We designed the site architecture and content with scientists (and how they like to receive information) in mind.